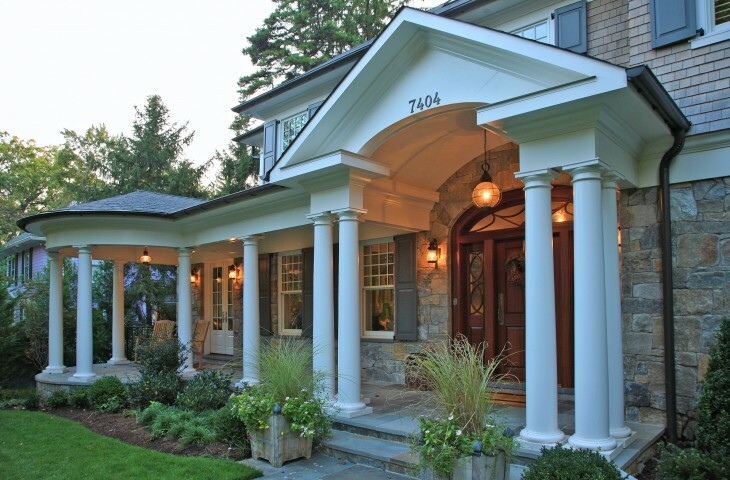 In this established neighborhood of Chevy Chase MD, the owners sought to build a new home for their large (and busy) family. Of considerable importance was to organize the home to rest comfortably on this gradually sloping lot. Formal and informal living spaces are enclosed in an elegantly traditional palette of natural wood shingles, field stone, copper and crisp-white architectural trim. A recurring theme of curved features infuse this home’s style with unique personality – inside and out.